Carroll T. Tomkins was born in Stockport, Iowa in 1923. 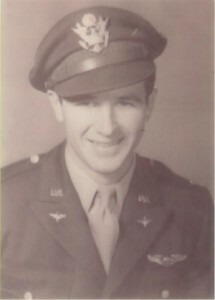 Carroll T. “TOMMY” Tomkins career would take him from the aerial battlefields of World War II to the operations of a successful southwest Iowa flight service and continued as a Designated Pilot Examiner for the FAA. Tommy enlisted in 1942 in the Army Air Corps Reserve program while attending college. In February 1943 he was called to active duty and along the way acquired the nickname “Tommy” from a popular cartoon of the time. He got out of flight school in 1944 and had orders to go overseas to fly the P-38. He soon found himself flying the twin engine Lockheed P-38 on combat missions in New Guinea, over the Philippines and Vietnam. He had 48 combat missions and received the Air Medal for totaling more than 100 hours of combat flight. In August 1945 Tomkins returned home for advanced fighter training and married the love of his wife, Evelyn Hoffer, and after a short honeymoon returned to the Pacific. But the surrender of Japan soon gained him his discharge. After the service Tomkins went to work for Ward Williams (who owned and operated a couple of Stinson trainers at the Burlington airport). Tomkins and Williams soon formed Hawkeye Flyers, Inc. which provided flight training and charter flights. In 1949 Williams was killed in a flying accident, forcing Tommy to keep the business flying by himself. Later Tommy joined forces with V.W. Remmers and the Remmers Tomkins Flight Service was established. In 1978 Tommy sold his interest in the business. Tommy became a FAA Pilot examiner and received an award designating him as a Pilot Examiner for this office in 1951 making him the most experienced DPE (Designated Pilot Examiner) on record in the FAA National DPE Database. Tommy was also the only Seaplane base examiner for the state of Iowa and was honored for giving more than 10,000 check rides.